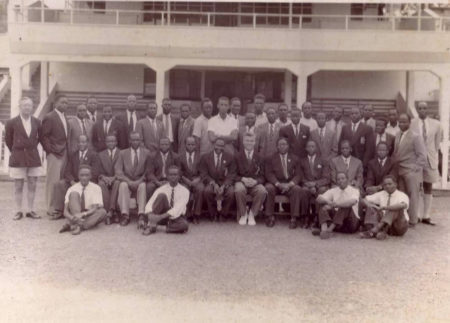 The photographs in this album have been shared with HIPUganda by Ian Nkata. 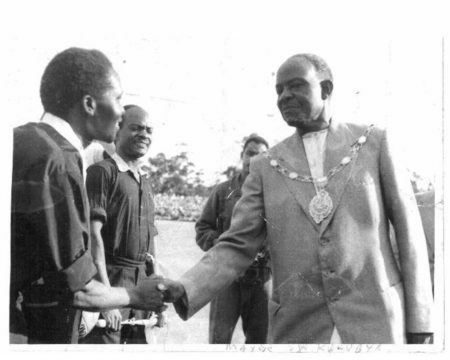 The album is devoted to his father Daniel (Dan) Nkata who played an important role in Ugandan soccer. 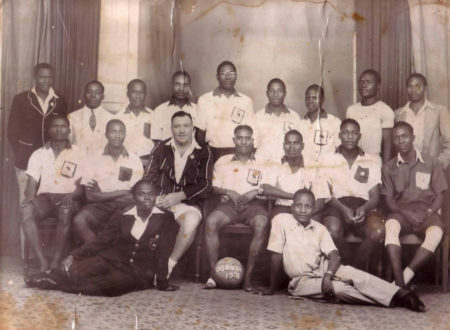 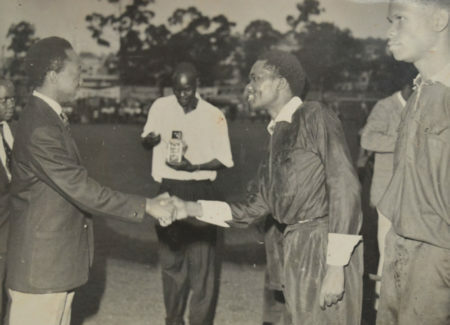 Early 1951 he obtained the Uganda Football Association Football Referees’ Certificate. 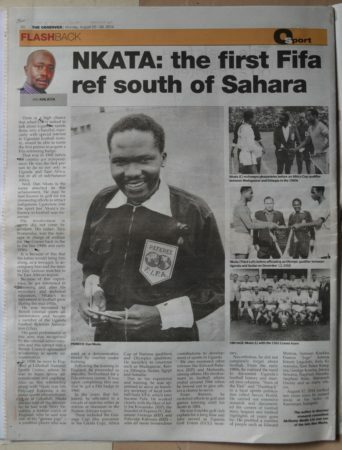 And he was member Uganda Football Referees’ Association (UFRA). 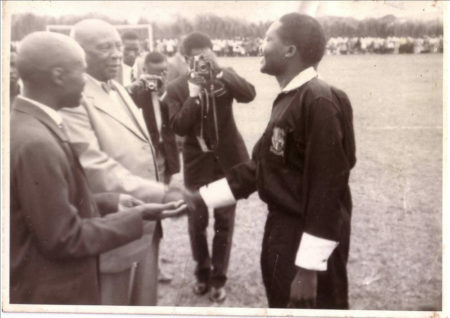 December 1951 Dan Nkata was Promoted to Grade 1 Referee. 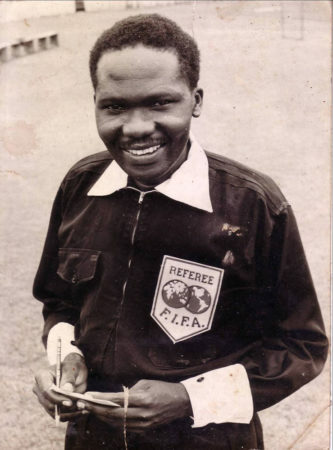 This is what appears on the copy of his application form of the Uganda Protectorate Education Department Overseas Scholarship Scheme in 1959 : “I have been a football referee since 1951 which I do during my spare time in an ENTIRELY VOLUNTARY CAPACITY. 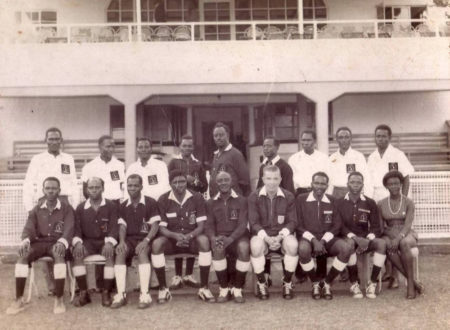 Also I have been responsible for training and coaching referees for the last 5 years particularly in BUGANDA. 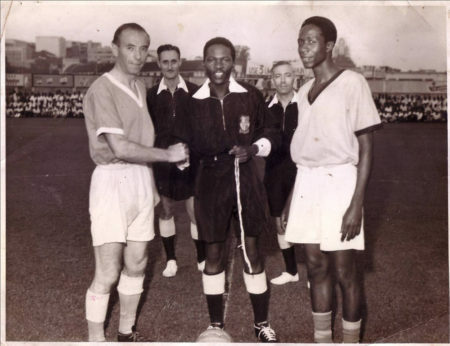 […] To gain more experience and confidence in football refereeing and coaching which I must do if I am to keep at the top as I have a the big job of guiding and coaching my fellows through out the country”. 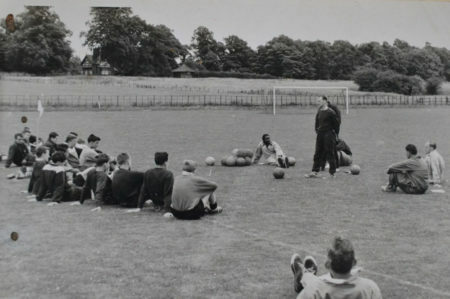 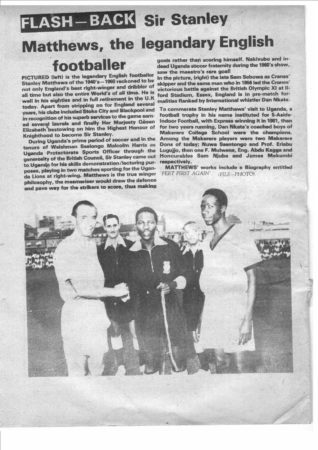 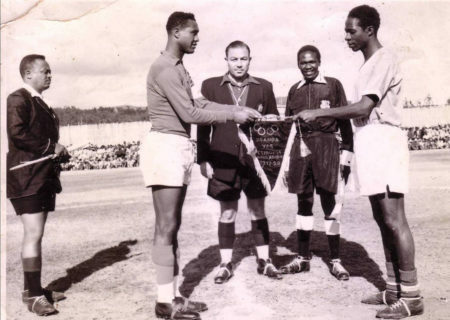 In a move to improve the standard of football refereeing and soccer in Uganda in the late 1950s, Daniel Nkata, who was in charge of referee training throughout Uganda, through the Protectorate Government Sports Officer, obtained a British sponsorship to do intensive methods of instruction course in the UK on an understanding that on return he would share his experience with fellow referees for the betterment of the game. 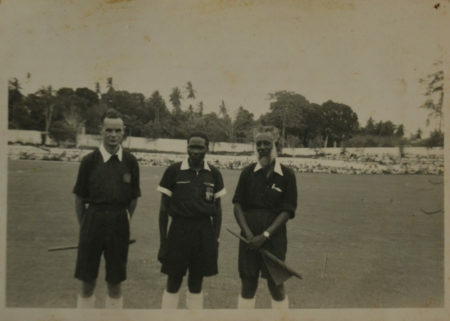 From England, with Uganda already a member of FIFA, he was sent to FIFA Referees/Instructors Course held at Ecole Internationale de Sports, Macolin, Switzerland. 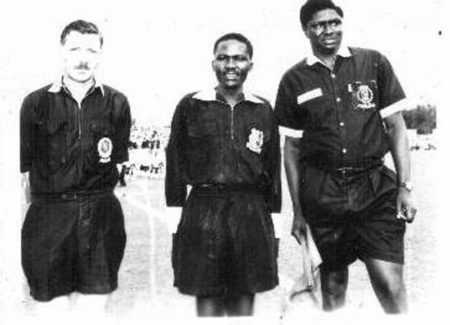 These courses were of great value to him and in many ways a boost to Ugandan Football and its refereeing. 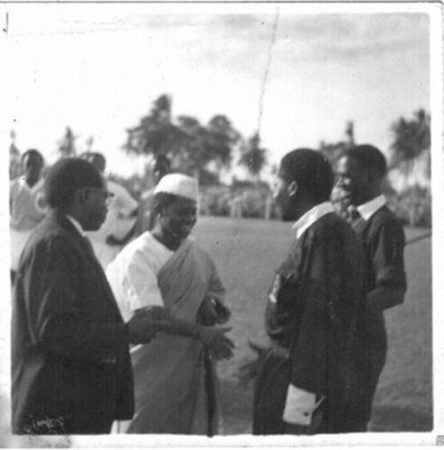 He was the only delegate from the East/Central African countries. 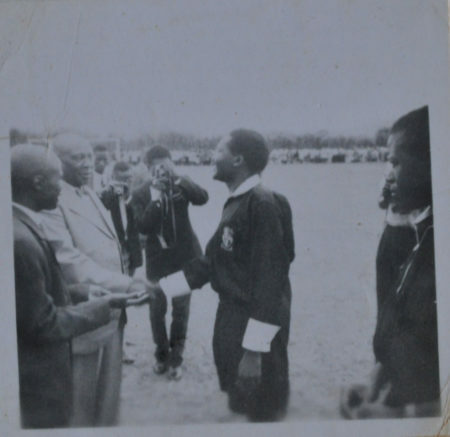 Among his prominent students was Referee Edward Bukenya. 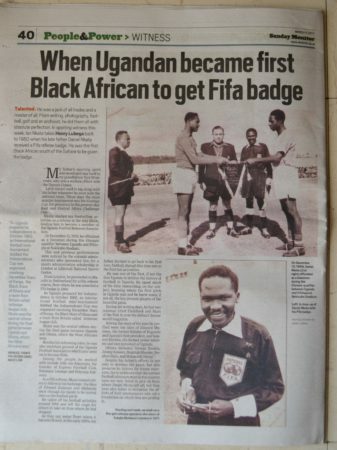 This experience saw him being the first (black) person to be awarded the FIFA Badge in East and Central Africa and indeed south of the Sahara. 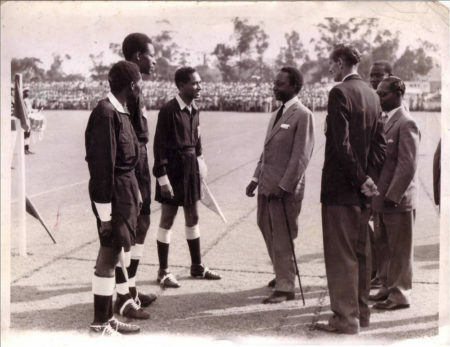 Uganda therefore led in FIFA refereeing status. 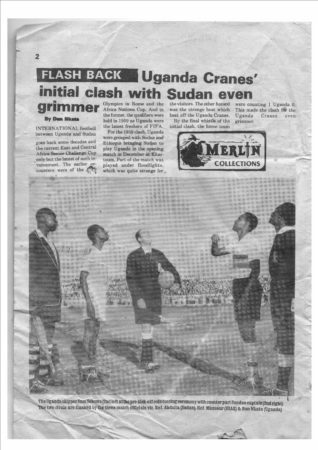 It is also at this time the Uganda referee changed his garbal appearance taking to the internationally recognised black and white, and doing away with what was East African ”all white” fashion. 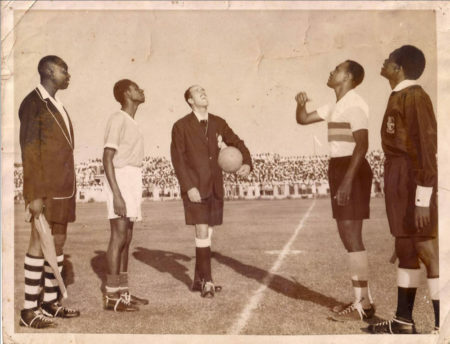 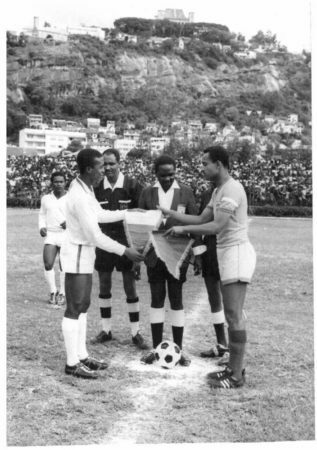 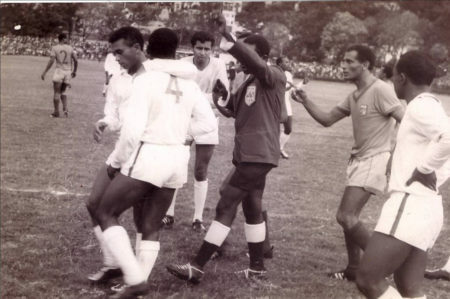 • Series of international matches in run up to Uganda Independence Oct. 1962. 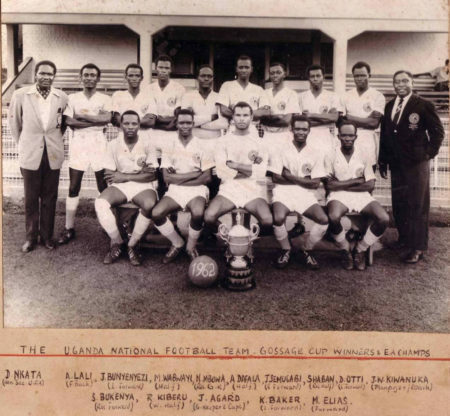 Ghana Black Stars were guests and winners. 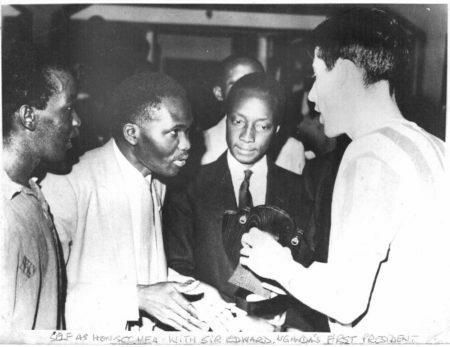 All photographs are part of the Nkata family collection, Kampala. 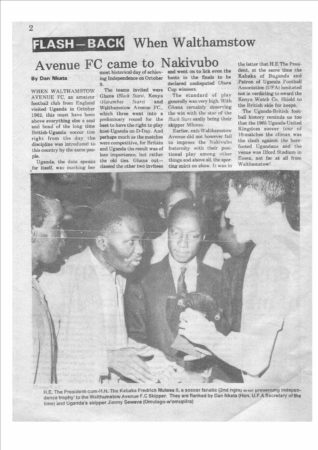 Photo captions provided by Ian Nkata.